The Guwahati International Airport, also known as the Lokpriya Gopinath Bordoloi International Airport was formerly called the Borjhar Airport. Located in Borjhar in Guwahati in the state of Assam, the airport is named after the freedom fighter Gopinath Bordoloi who also were the first Chief Minister of Assam. Bus: 141 km from the Bus Stand. Rail: 22 km from the Guwahati Railway Station. The gateway to northeast India, situated on the banks of Brahmaputra River, Guwahati is a riverine port city that is strategically situated at the intersection of three highways. Guwahati is named the 'City of Temples' due to it being home to many ancient Hindu temples. 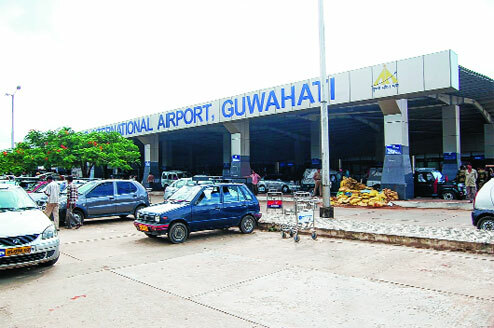 Guwahati is well-connected through air route to all major cities in India. Book cheap flights to and from Guwahati International Airport at lowest airfare.